Here is how to use MFC's automatic Radio Button handling in your dialog boxes and forms. Beginner programmers usually start with a OnClick handler for each radio button and that's just not the right way to go. MFC has a very cool system for handling this, but the documentation is a bit unclear, and it helps to see the whole system in action. I'll also show a useful technique of creating an enumeration variable to simplify identification and processing of the selected option. And I'll describe how to disable sub-items that are related to just one of the radio-button options to give your U/I that truly professional look. In a "settings" dialog, you will typically need to present your user with several options related to a particular activity. When you have a largish number, say 4 or 5, then you will display a listbox or a combobox -- especially if that set of options might grow in future versions of your program. But when there are only two or three options, it's usually best to show a set of Radio Buttons in your dialog (BTW... Never use a radio button when there is only one option -- use a checkbox instead). MFC provides the tools, but the Wizard support is a bit finicky -- you need to do things in the right order if you want the Wizard to work for you, You can also add the radio-group handling manually, but it's worth knowing The MFC way. Use the Dialog Editor to design the form. In the example, there are three radio buttons. There are some additional settings related to only the third option ("Custom"). Click on each control in the order you want them. In particular, make sure that the radio buttons have sequential numbers. Set the Group attribute to True for the first button only. Click on the other items to verify that "Group" is set to False. You need to add a DDX_Radio line to the DoDataExchange function. Let's let the Wizard do it for you. Step 3 is key, because the "int" option is not available unless the "Group" attribute has been set! 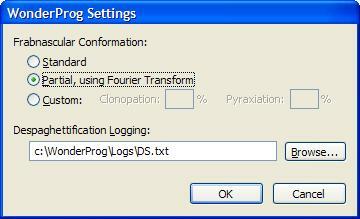 And when the dialog is closed, that variable will be set with the new, user-selected value (0, 1, or 2). 1) First, make sure the tab order is correct/sequential for the entire set. 2) Give a symbolic name (other than IDC_STATIC) to the first and last label. 3) Double-click each radio button to have the wizard provide an OnClick handler. 4) In your OnInitDialog function make a call to the DoEnabling() function. The MFC coders at Microsoft implemented support for automatically handling a group of radio buttons. This Article has described how to use that support quickly and easily. Knowing how the MFC Wizard works will make these U/I design and implementation tasks easier. And when you know the system, you can use more advanced techniques to make your forms more professional.